We are professional manufacturer of hair products with 20 year's research, design and production experience. The items we list are in large stock. You can enjoy factory price and professional after-sales services. High Quality Certifications from Government. Please understand due to the color resolution differences on each computer,pictures may not reflect the actural color of the item. When you make order for the mix goods, please put the mix goods in your shopping cart, click add to care then your delivery address and the orders' details carefully before clicking submit. 100% payment before delivery, please make sure you have left the complete correct information, including full name, address, post code, phone number, the goods will be shipped to the address you left in the order. 2: We are not responsible for any import duties,customs taxed or fees if applied, import duties and charges are not included in the items' price or shipping charges. 3.Customs Tax One: There could be Customs Tax and should be paid by buyer. The tax depends on if the package is checked by the local Customs and the policy of different countries(especially in South and Africa). You could leave a message when placing order how much you want us to put on the invoice. Usually, we will write the hair in the package as : hair sample, synthetic hair, synthetic gifts, hair goods, and lower value. Just for helping you avoid the Customs Tax as possible as we can. 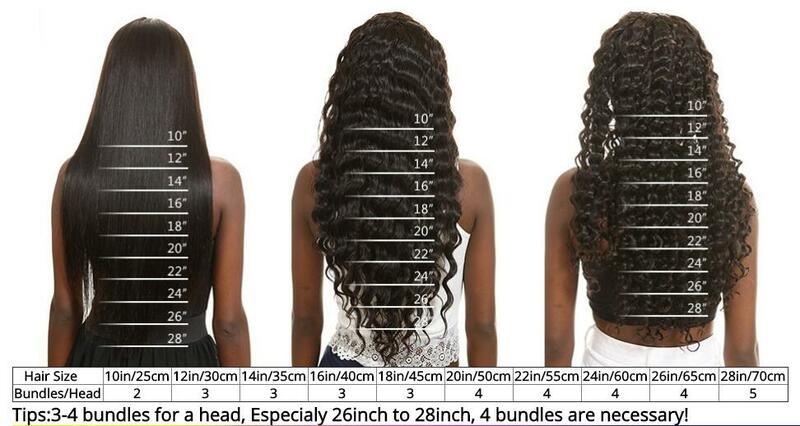 But the hair you get from us is the original as your order shows. Q1:How long dose it last? Q2:What type of hair care products should I use? A: Treat this hair just as if it was your own hair. Use good quality shampoo and conditioning products. condition your hair is very important to keep it soft and manageable, so use leave in conditioners. You can also use products like gel and hair spray to keep the curls in place, but make sure to wash your hair and not leave in these products in for a long time. Q3: Why are my hair extension get tangled? Q4: Why does my hair shed badly? A: Usually we will put low amount in the invoice to avoid Custom tax, but due to different policy in different countries (especially in South America and Africa), there might be some Custom tax which is not considered in the price and should be paid by buyer. You could leave a message when placing order about how much you want us to put on the invoice. Q6: Why the hair I received are different with the photo? A: All Items are for Real Shooting. For display, light, environmental reasons may be a Slight Deviation phenomenon, please in kind prevail. Q7: What is your Returns/Exchange policy?